"That was my job. But they were lucky it was me on shift that night." The story of the false alarm incident was kept secret until the Soviet Union collapsed in 1991. 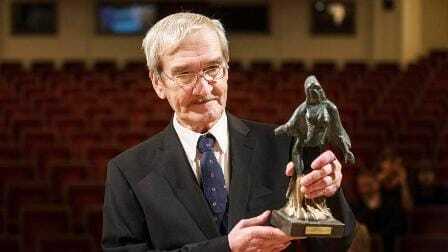 Stanislav Petrov's decision to defy protocol that averted nuclear war was not praised by everyone, but he received several international awards after the incident was revealed. The amount of recognition he received, however, was not nearly enough to cover his contribution to the world by preventing nuclear war. ​"Stanislav now lives a quiet life in this block of flats northeast of Moscow." ​Petrov remains quiet and humble about the incident even though he may have saved the world from a nuclear war. ​"I was just doing my job, and I was in the right place at the right time, that's all. My wife did not know anything about the incident for 10 years." There remains many unsung heroes like Petrov who have contributed greatly to the world but do not receive enough recognition; they may not have saved the world, but their names certainly deserve to be heard and remembered by others.